> that's in here : Intel(R) Pentium(R) 4 CPU 2.80GHz. likely that yours isn't one of them. and not making it to the installer proper. 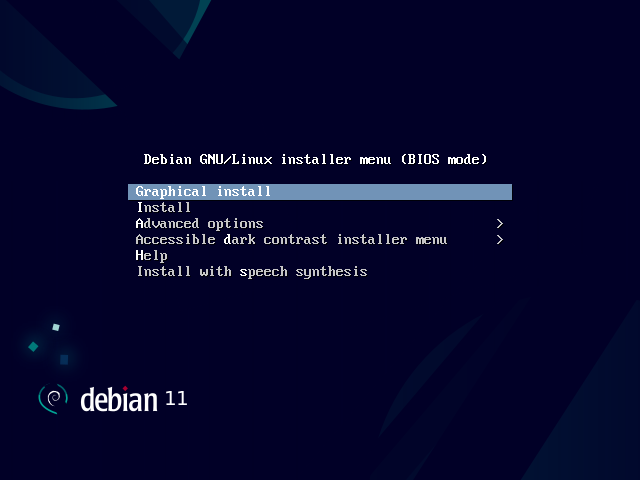 the bootloader having enabled graphical mode? Does an i386 image work on your system? image, IOW if the image is only for amd64 then you just get "Install"
etc and not "64 bit install". "Install" will laucn amd64. launches 32-bit and the other 64-bit. > The hang occurs when I try to select any option.